From creating special memories to elevating travel experiences, learn why destination portraits are so important and how you can make it happen. y family and I love to travel. Even moreso, we love having our pictures taken so our most precious memories are captured in destinations we may or may not get to visit again. We make it a priority to have family and husband and wife photos done whenever we go on vacation. Some say we've completely lost our mind with all the legwork that happens, but I think it's genius and only takes a little extra planning. So without further ado, here are the top 6 tips on how to get destination portraits taken while you're on vacation. 1. Figure out why destination portraits are important to you. For us, it's a fun activity and gives us a chance to meet some of the locals on a more intimate level. What better way is there to have a local show you some amazing spots off the beaten path and show you how to navigate a new city? It's like a built-in tour guide! It's the most amazing way to remember your trip. Every time I look at our travel photos, I'm reminded of how happy we were and of all the things we did on vacation. You are probably thinking that you have lists upon lists of things you need to pack, places you need to visit, and the myriad of items you have to take (which is insane if you are traveling with small children), and a to-do list a mile long. That might seem overwhelming, but I get it. I really do. I go through the same things. But good preparation ensures that the minute I lock the front door, I can be in vacation mode and start to decompress and relax. That is after all what vacation is for. Find some places that you might want to highlight. You've probably already gotten some ideas when you were planning your trip. 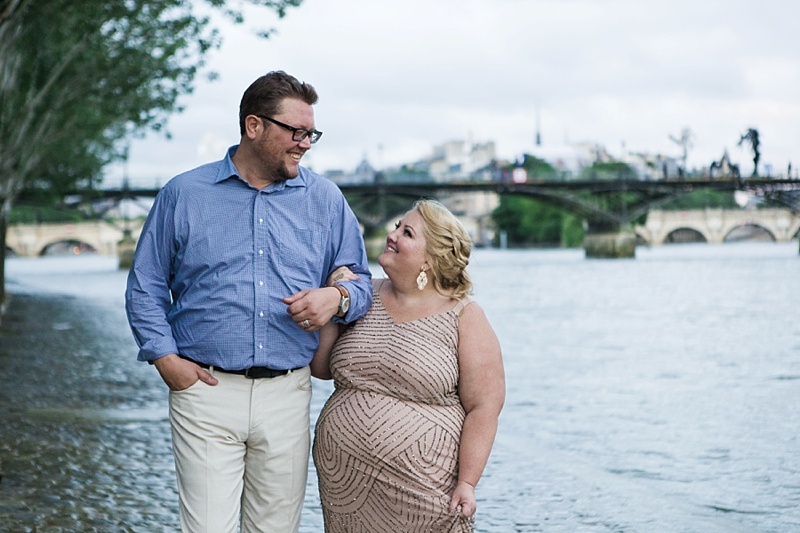 For my recent trip to France, I was familiar enough with Paris that I knew that we would want to have pictures at our hotel, a cafe, the Eiffel Tower, the Louvre, and along the Seine River. We did have to be a little flexible, of course, because our photographer was much more knowledgeable on what was realistic to be done. For example, I really wanted to go to the Pont de Alexandre but the Bier Hakiem was a better bridge to visit because we could also get in the Eiffel Tower as well. I also wanted photos at Versailles but it is a 40 minute drive from Paris and would need to be done at sunrise because of the crowds. After our long travels and still recovering from jetlag, sunrise didn't sound appealing to anyone. There is always the next trip after all! 4. Research a photographer and determine your budget. The key to planning for destination photography is research. You first need to have a good idea of what style of photography you like. Do you want to be posed? Would you prefer to have a lifestyle shoot? Candids? Particular backgrounds from your destination? What's your budget? You need to have an idea of the product that you want before you start going out to look for a photographer. Your next step would be to start searching for your destination photographer and see what comes up in the images for that specific location. When you come across someone that you like, take note of who the photographer was. So in our case, I googled "Paris family photoshoot" since we had our two girls with us. 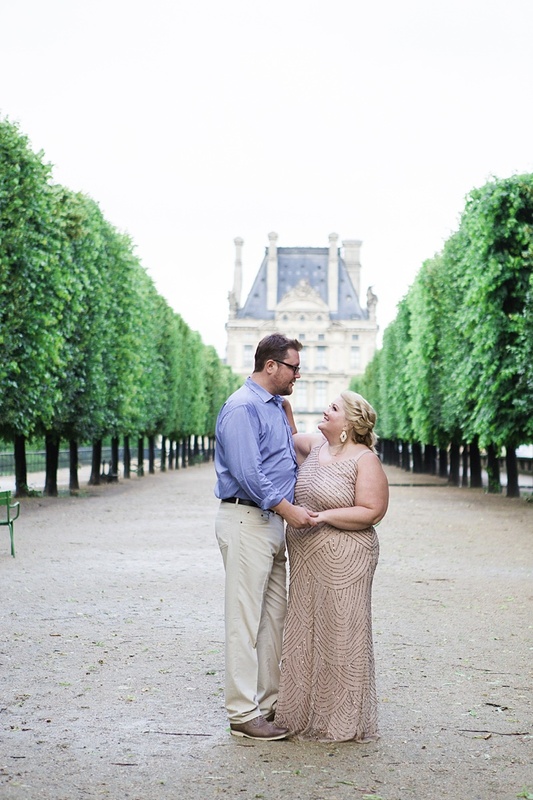 When I exhausted that search phrase, I tried "Paris Family Photos," "Paris Couple Photos"... and since I'm a wedding planner in Virginia, I also tried "Paris Elopements." Many wedding photographers also take family and couples photos, too, so this gave me a really good idea of who would be a good fit for my style. Once I had a list of names, I started to look at their websites, blogs, and Instagram. This helped me get an idea of who was English-speaking as well which is especially important if you have children! You'd be amazed (or maybe you already know) at what you can learn about someone from social media. 5. Ask for hair and makeup referrals (if needed). After booking our photographer, we started communicating, talking about our travel plans, time needed, our family dynamic, and location inspiration. When I initially reached out to all of our potential photographers, I mentioned that I would be wanting hair and makeup services for our shoot (because Paris!) and asked for a referral. Every single one gave me a specific local hair and makeup artist's name. So that quickly became a no brainer and a big reason to ask for any kind of referral from the local vendors! The good ones are always established and connected to their community, so don't hesitate to ask. 6. Plan your wardrobe and accessories. This could be the most arduous task of the whole process, but it all depends on your personality. For me, I thought of the Parisian locations we would be visiting for our photos, so I based our general color schemes to complement them. We all look good in blue, so I knew that would be one look, and for the other, I didn't want anything that would distract from us or Paris, so I went with more of a neutral-inspired formal look. When I was looking for inspiration on Google, the images I was most drawn to were the ones of women in evening attire and ball gowns. Since we were traveling for 18 days, I sadly decided against a ball gown as that would take up precious real estate in my suitcase. I was so tempted to take another suitcase to accommodate that dress! But reason won out in the end. From Spanx to bras to the shoes to everything else we needed was in that bag ready to go even though we didn't leave for weeks. This was it was ensured that if we forgot anything while packing for our trip it wouldn't be the clothes we needed for pictures. I cannot recommend enough about using a destination photographer while traveling. Whether you are looking for family photos like us, you are a couple in love, engaged, newlywed, expecting, or just want a cute picture of your fur-family, you can never go wrong with professional photography where you and your partner are both in the photos versus one person behind the camera all the time. While the investment is a little more than what you would normally pay for a photo session at home, the forever memories of you and your loved ones in a beautiful destination is very well worth it.